Phantoms 2018/19 – Standing Among Giants ? With Phantoms achieving a trophy treble last night, already some fans are questioning where this season sits in comparison with the 2008/09 treble winning season but my advice would be not to even try to compare the two but to celebrate both as outstanding achievements. 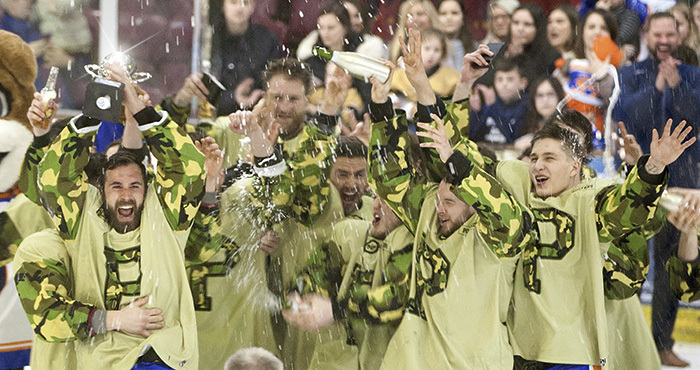 A sporting treble is defined as “three championship trophies in one season” and this season’s side have achieved that …… Phantoms 2018/19 are truly and genuinely a treble winning team and fully deserve to wear that hat with pride into Coventry where they have the opportunity to achieve something that has probably never been achieved in top flight UK hockey before, a four trophy haul or quadruple ! One thing that both treble winning sides can be attributed with and without any controversy is that both were masterminded by outstanding coaches who achieved what only the very best coaches can achieve which is to create a team whose prowess exceeds the sum total of its individual parts. Neither the 08/09 nor the 18/19 side was tipped to win big and both upstaged bigger clubs in terms of budgets. Colin Paterson in a 2009 interview made it very clear that his plan was to get everybody drilled on the same basic gameplan, tactics, style and he openly confessed that it wasn’t “advanced hockey” because he felt strongly that at this level, consistency and discipline would deliver far more and it did, just as Slava Koulikov has demonstrated this season. The finest testimony to how well this season’s team has done in delivering that consistency is that you can not pinpoint where the threat will come from nor who will deliver the goals. Could anybody have foreseen Martins Susters racking up 4+2 last night ? I’ll wager that Bracknell couldn’t and didn’t ! Having three lines and, increasingly, four lines drilled with the same playing style and adhering to the same principles and gameplan is a joy to watch and has not only served the club so well this season but provides a fantastic foundation for the seasons ahead. The excitement of Coventry now looms large and it is one of those unfortunate “Americanisms” that the end of season play-offs has a tendency to eclipse all that has gone before which can be very unfair on those who have achieved so much in the season already but the players and coaches will know all too well that to craft the finest cover for what has been a fantastic and compelling book, they will need to go to Coventry and win it. 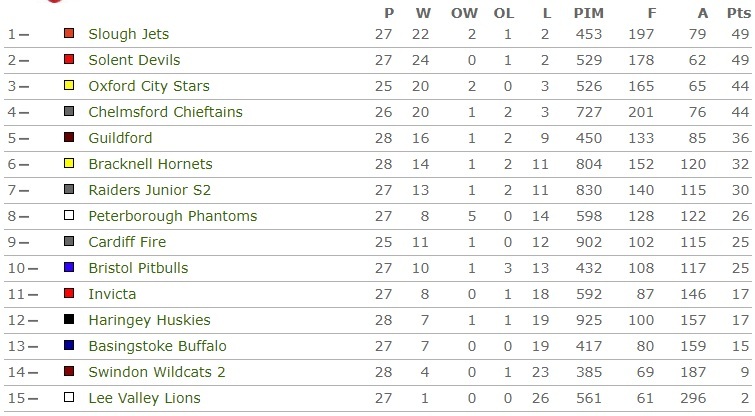 Phantoms have been the team of the season – be in no doubt, Swindon would immediately trade their league title for three trophies won on home ice – but securing that accolade requires victory in Coventry where Phantoms will arrive as competition favourites but will also be the team every opponent will be raising their game to beat. If they once again rise to the challenge and secure the National Play-Off Championship then be in no doubt, the players and staff of Phantoms 2018/19 will truly stand among giants !